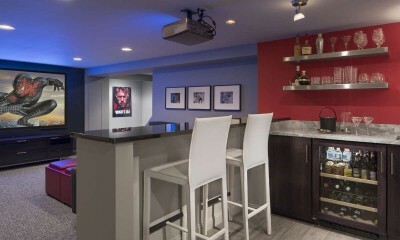 Washington Project - Interiology Design Co. 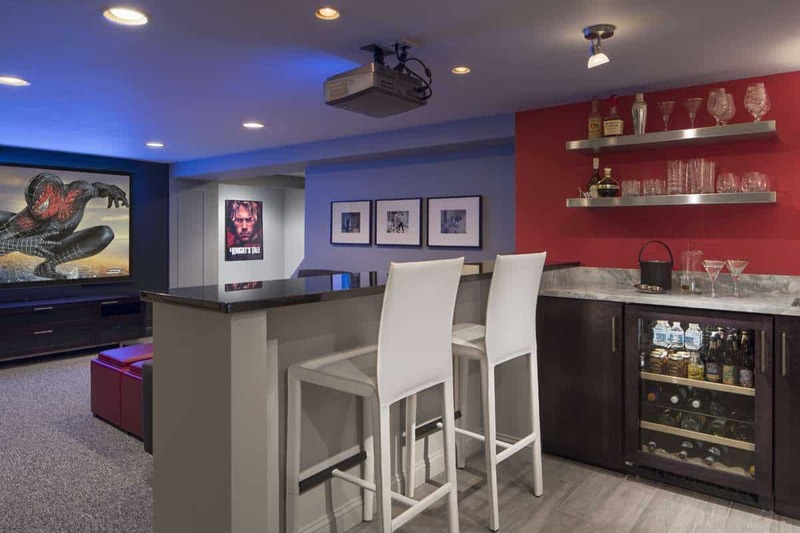 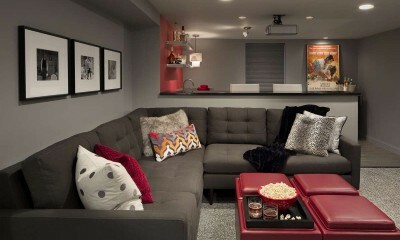 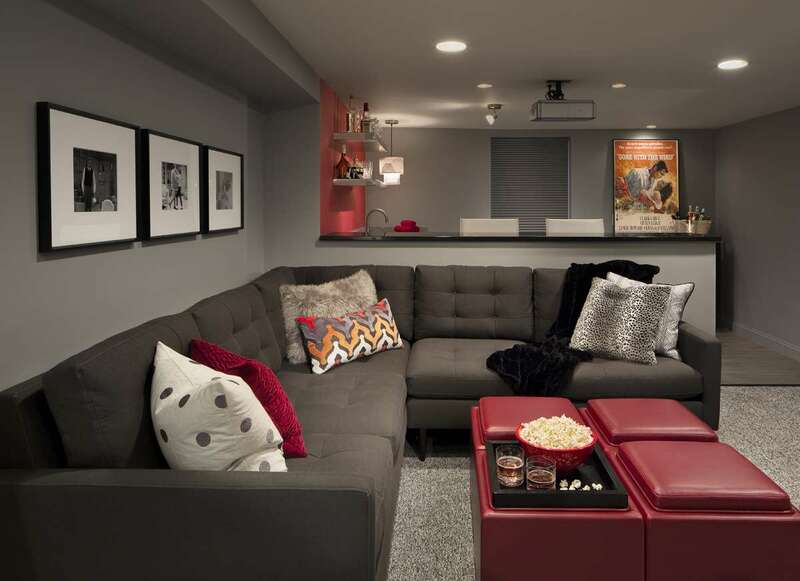 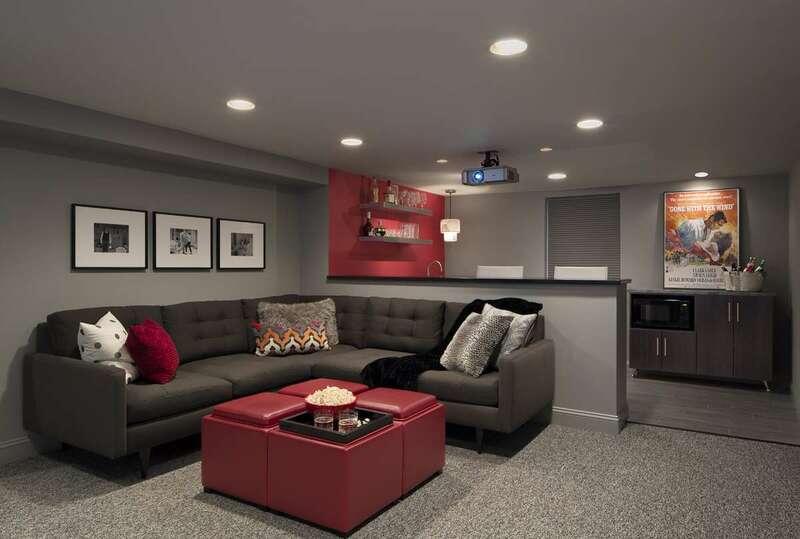 This basement renovation is a movie-lover’s dream. 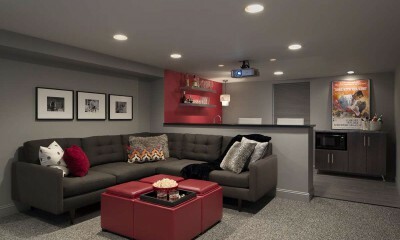 It includes a wet bar, large comfortable sectional and a large screen and projector. 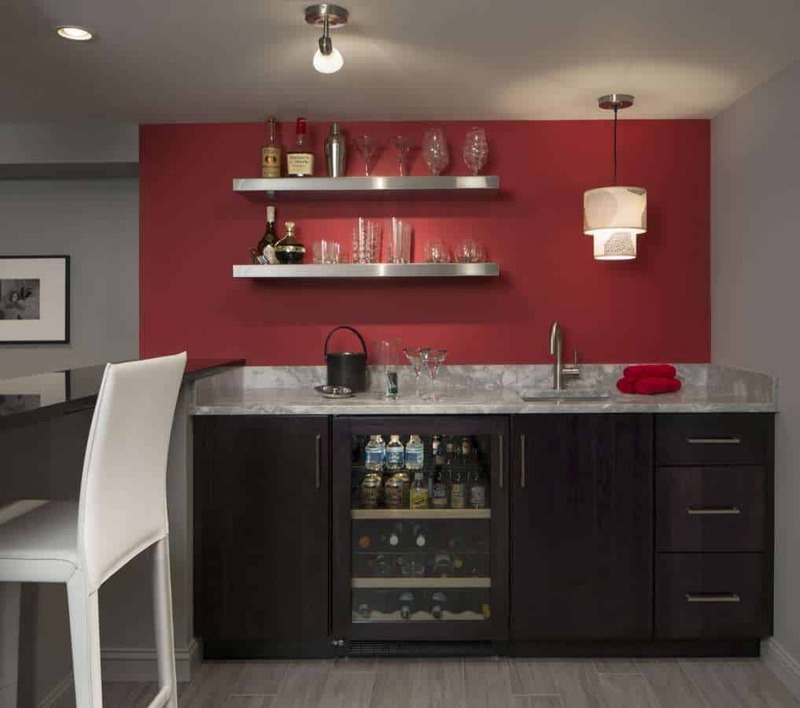 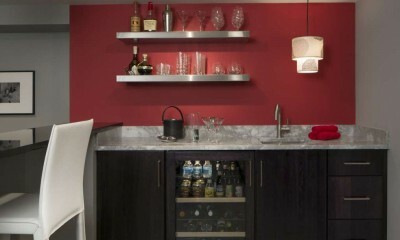 The wet bar and counter seating includes everything the homeowner needs for an evening in front of the big screen.